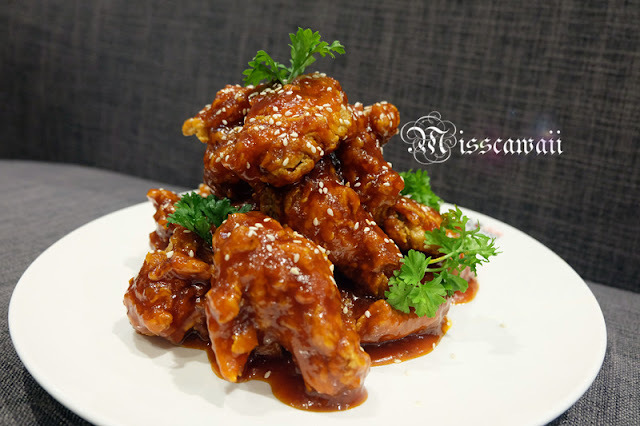 Pelicana Chicken is the real Korean Gourmet Chicken come introduce premium, fresh and delicious chicken in Malaysia. Honestly I used to be eat fried chicken from KFC and Nando's. But for Korean, this is my second time after Gangnam 88. The interior at Atria Shopping Gallery outlet. 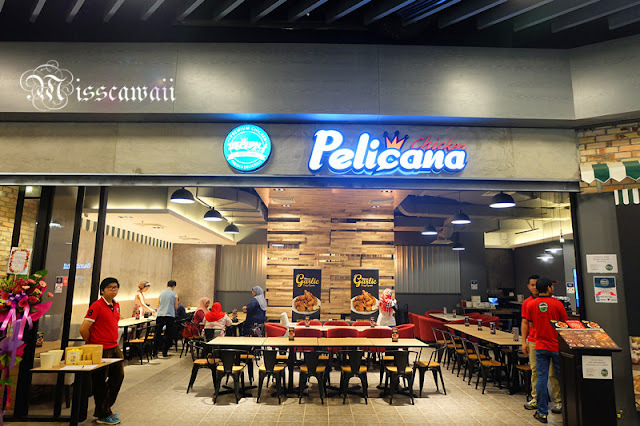 Pelicana Chicken is the longest standing Korean styled fried chicken franchise and world famous in Korea. 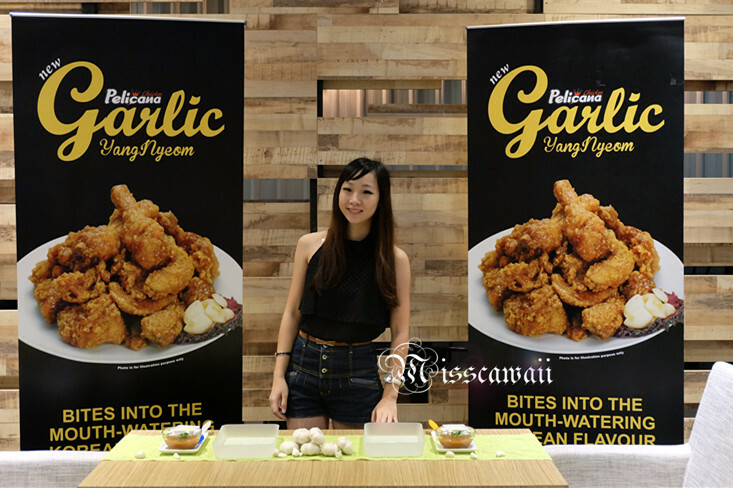 Recently they just launched their new Garlic YangNyeom Chicken at Atria Shopping Gallery outlet. 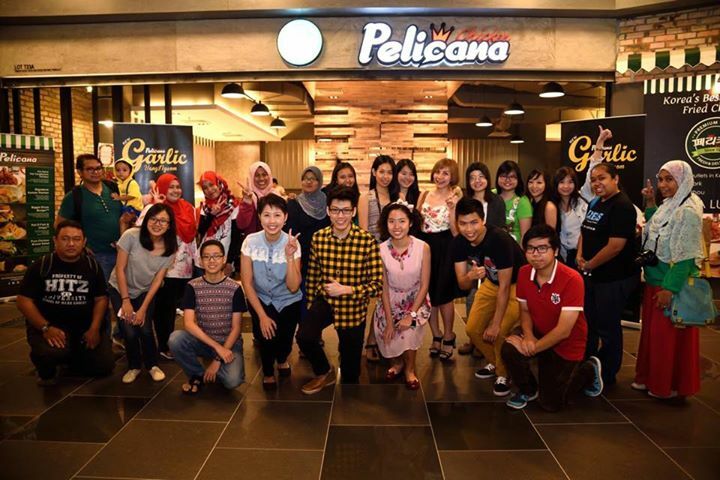 With a big group of bloggers, we have enjoyed the food tasting and sharing the fried chicken with each other. We are going to see how the Garlic YangNyoem Chicken to be make. In conjunction launch their new flavor of chicken, we also have opportunity to try out another 4 different types of flavors include Original, Spring Onion, Charcoal BBQ and Hot Spicy YangNyeom Chicken. The chicken is served in winglets and drummets to give you small portion and easy to eat. 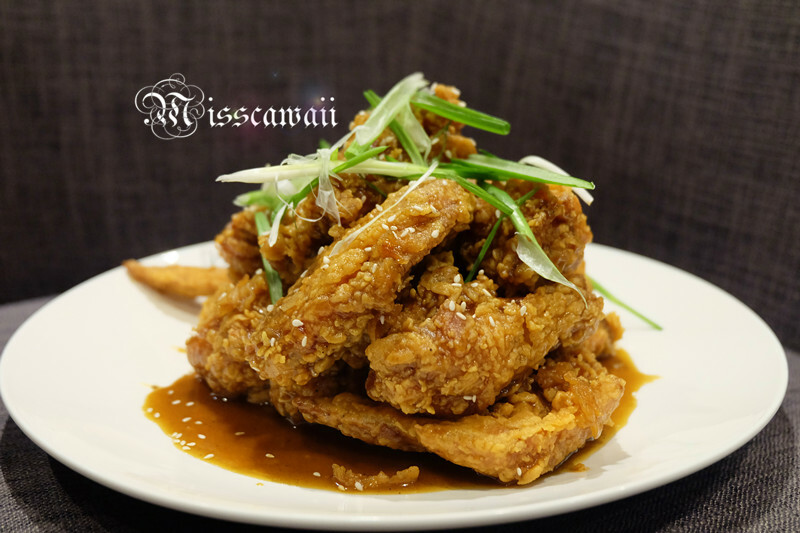 The chicken come with their own soy-sauce and served with parsley garnish. The chicken is served with sweet soy mustard sauce and topped with few spring onion. This has mislead the taste to wasabi after taste it. . 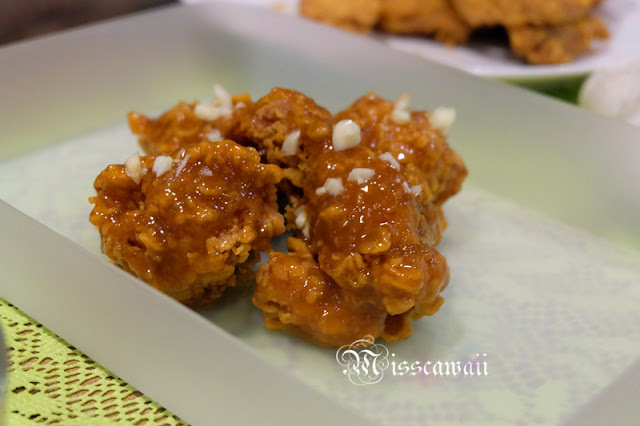 This is my top favorite in Pelicana Chicken. 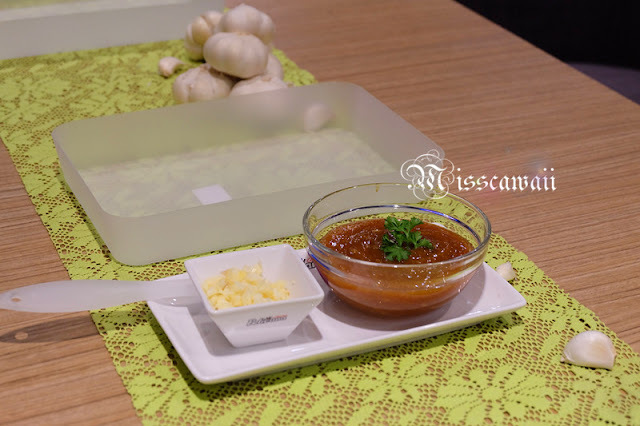 The spiciness is in mild and the sauce is nice with it. 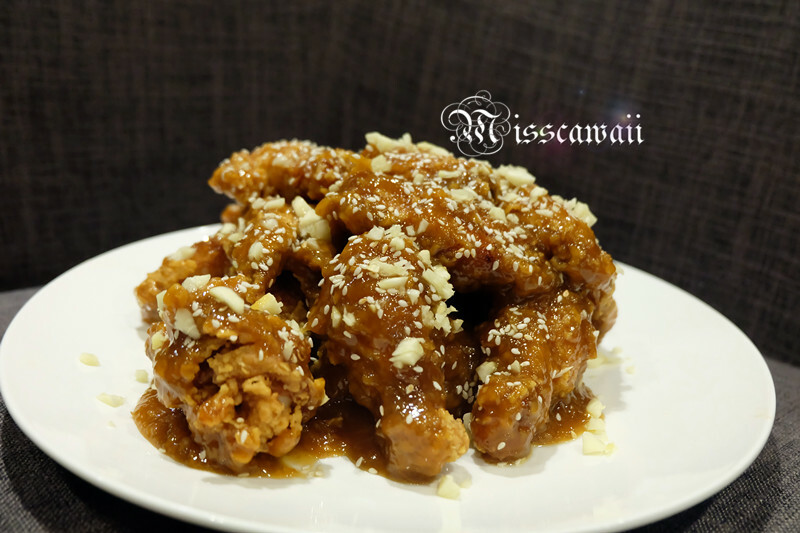 If you want to try out their spicy chicken but worry cannot hold it, you may try this out. This is the extreme spicy in their house! If you are chili lover you should go for it. I cannot take it and I wanna cry even I only having one bite size. I didn't figure out the taste flavor because it's too hot, hot and hot. 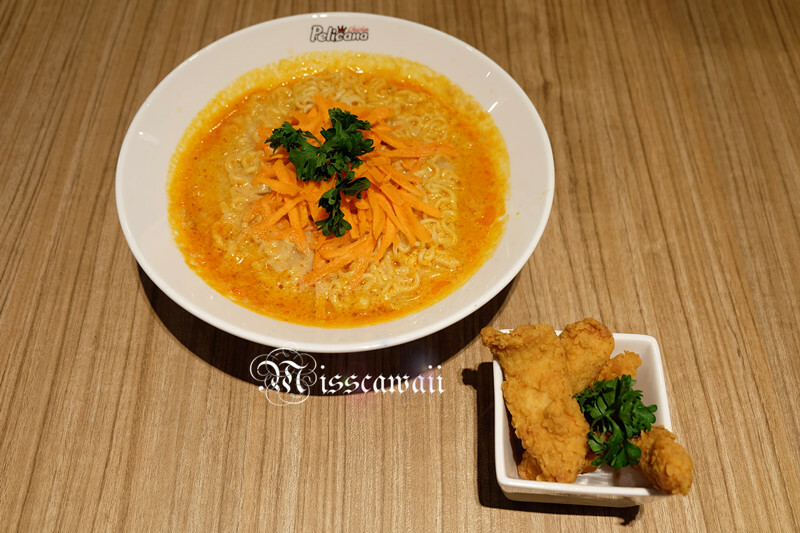 Ramen is springy and served with bite size fried chicken. The salad is good and the sauce is too nice when mix it with the fried chicken. A bit similar with Caesar Chicken Salad but without baked toast. 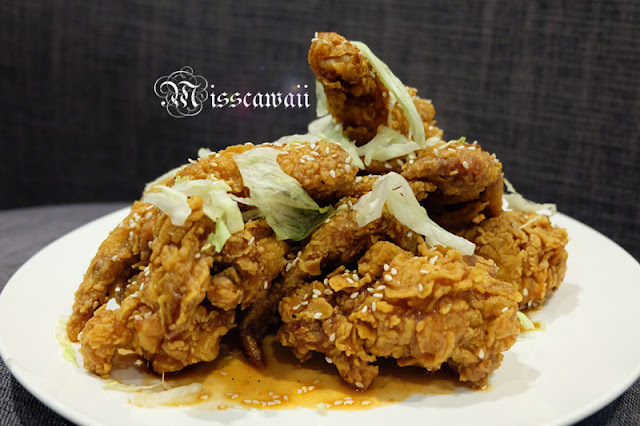 This is a good place to sharing meal especially for who love fried chicken. You can choose variety of sauce from here to suit your palate. Share with me if you have visit here before and which sauce your are like the most. 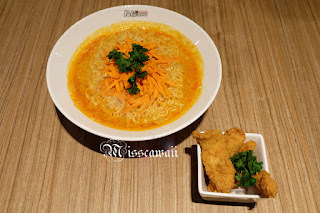 And don't forget challenge yourself with their extreme Hot Spicy YangNyeom Chicken! 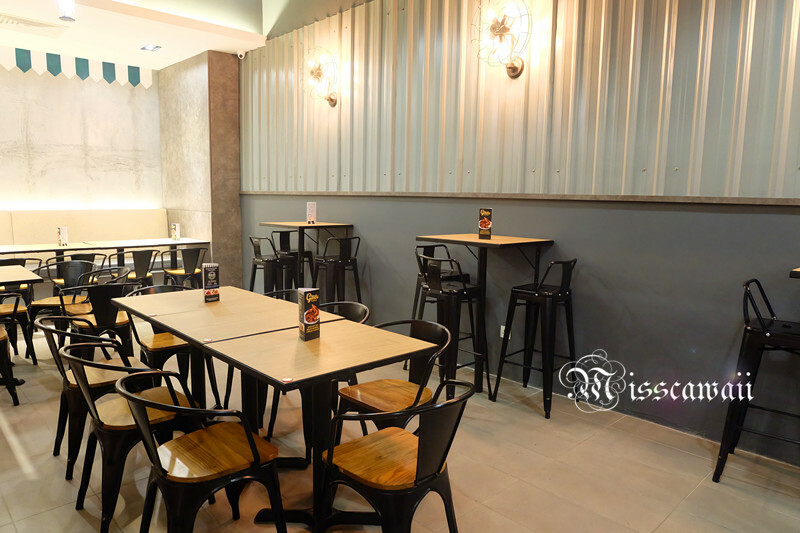 They also have another outlet at eCurve mall and Sibu, Sarawak. 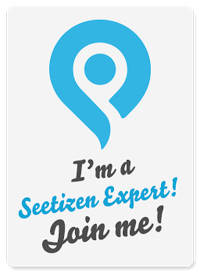 You can check it out if you are stay nearby! Once again, thank you Pelicana Chicken having me for the new flavor launch in the food tasting event. I like Pelicana chicken also. Will try out their new menu. wow new shopping mall, haven't been there. 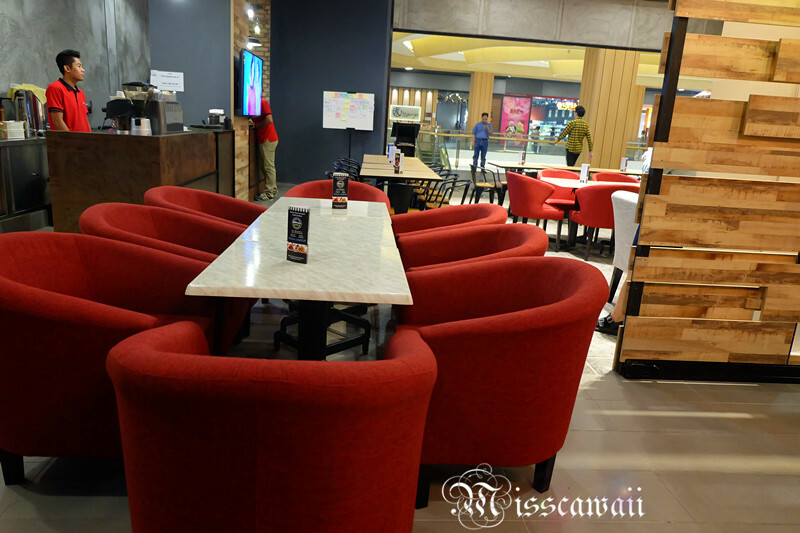 This outlet food must give a try! I love pelicana chicken! So good u get to review them! oh so the chicken is already fried then only they sapu the sauce and sprinkle garlic on top? Is the garlic raw? Gonna bring my bf to try it out here! Bet he gonna love this chicken meal so so much! I don't really like Korean food but I do prefer chicken over BBQ pork. These look delicious! Hey I was there too! Guess we didn't get to know each other twice (Pelicana & Bausch + Lombs) lol! Thank God we manage to meet each other at Coffee Me Darling! Quite tempting though i have never tried pelician chicken but very inviting it is with the sauce brushed on it. 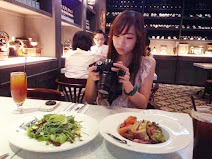 This is my first time i read your blog and i like the story flow. 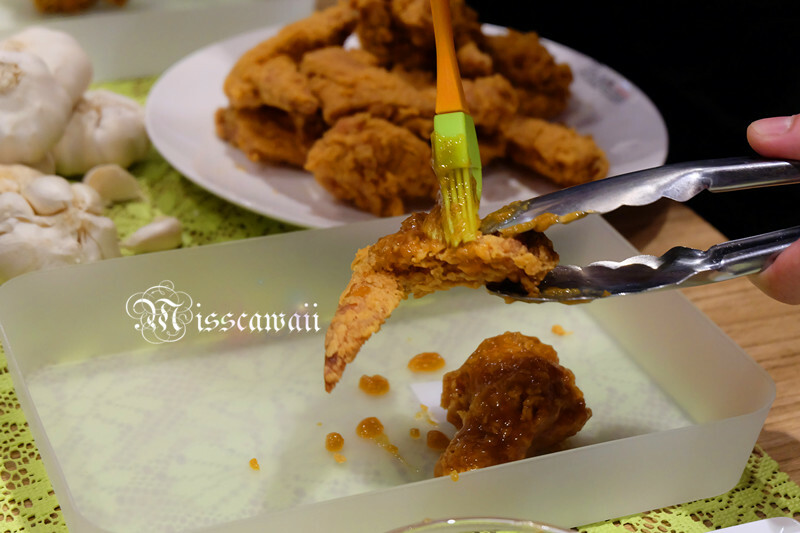 Many ppl has tried pelicana but I have not because i try to cut down fried food after reading this blog post i am tempted to go. Arghhh there goes my diet hahaha. You are very pretty thou. The fried chicken looks delicious!! Omg!! Never been too Atria before as the place is quite far from my house. I love your photos! 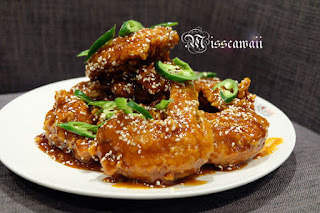 I haven't manage to try any Korean fried chic yet. These looks delicious. 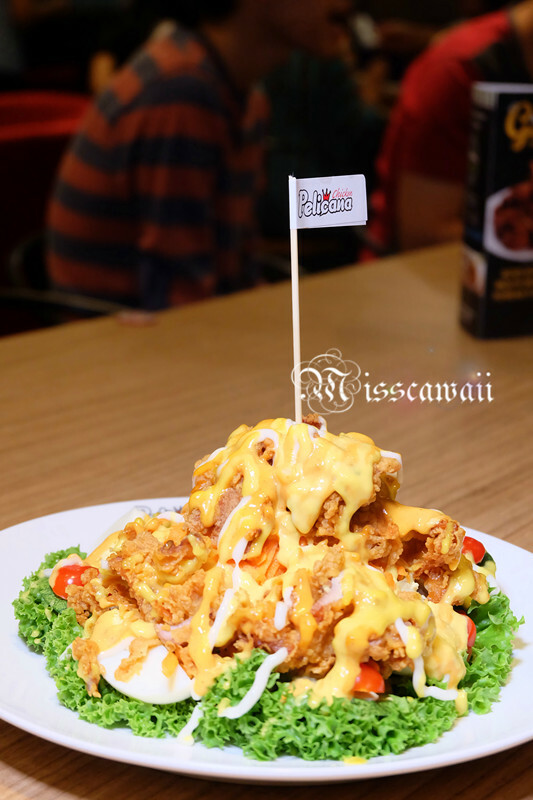 Love Pelicana Chicken a lot! Will definitely drop by when I go Atria again. Oh my! I love chicken wings! This is another must-go-to place on my list! Pelicana chicken tasted very nice! Love it very much!